The 'I Knew You Were Trouble' hitmaker was spotted mouthing "shut the f**k up" while her ex-boyfriend Harry Styles was on stage with his One Direction band mates, but the 'Lego House' singer has claimed she was actually swearing at her best friend. According to Cosmopolitan magazine, at a recent press conference Ed insisted Taylor was directing the jibe at Selena - who was sat next to her - after she expressed doubt at her ability to pick up a prize at the ceremony. He said: "Selena said, 'I think Miley's gonna win [over me]'. And Taylor was like, 'Shut the f**k up!' That's all that was!" And the 23-year-old star apparently knew her comments would be misinterpreted to be directed at Harry. 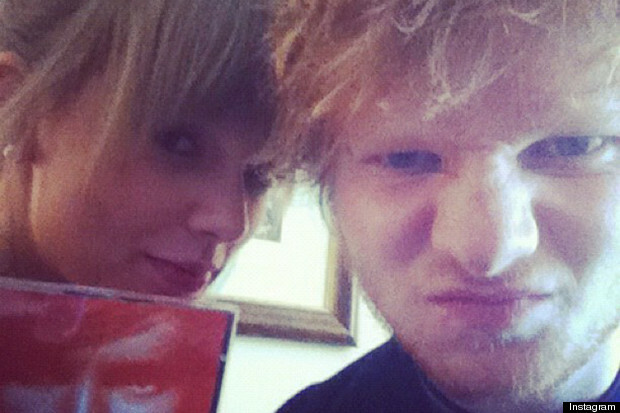 Ed added: "Taylor was like, 'I think I messed up.' "
Following the incident, Taylor was spotted with Harry and the 'A Team' singer was forced to keep the peace - a role he is said to frequently adopt when he's around his two friends. It was previously claimed: "Ed made sure to keep them separate."